Guess what? Christmas is barely three months away! Which means its holiday prepping time. With Christmas coming up faster than ever, we can forgive those of you wanting to escape the heat and head to a cooler climate. A white Christmas is magical, after all. And our top pick for a cooler Christmas this year? The USA! It’s got everything – festive lights, special Christmas shows, snow – even Santa. But first you have to get there. And you’re in luck, because American Airlines flies from Sydney to LA daily; which means your Christmas dreams are more accessible than ever! Luckily, we’ve got some tips on how to spend the festive season in the US. Since flights from Australia to LA depart so regularly, we thought we’d start with an obvious attraction (both during the holiday season and year-round) – Disneyland! Visiting any of the theme parks in Southern California during Christmas time is an absolute treat. Everything from festive parades to fake snow to the grinch awaits – although that last one definitely won’t ruin your Christmas if you’re spending it here. LA is also a hotspot for some of the best Christmas lights around. Check out the insane Mission Inn Festival of Lights, the stunning LA Zoo lights, or the 8.4 million lights on display at Robolights in Palm Springs. 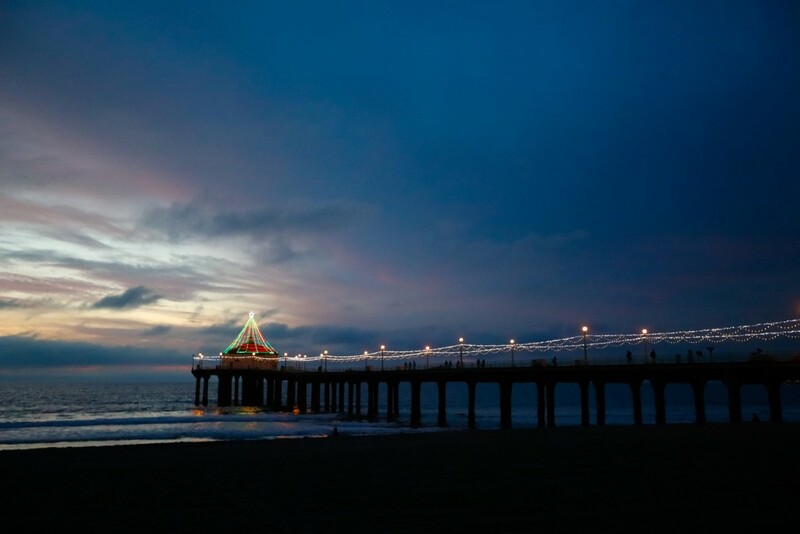 A few of the beaches even decorate their piers for Christmas – and if that doesn’t scream festive, we don’t know what does. 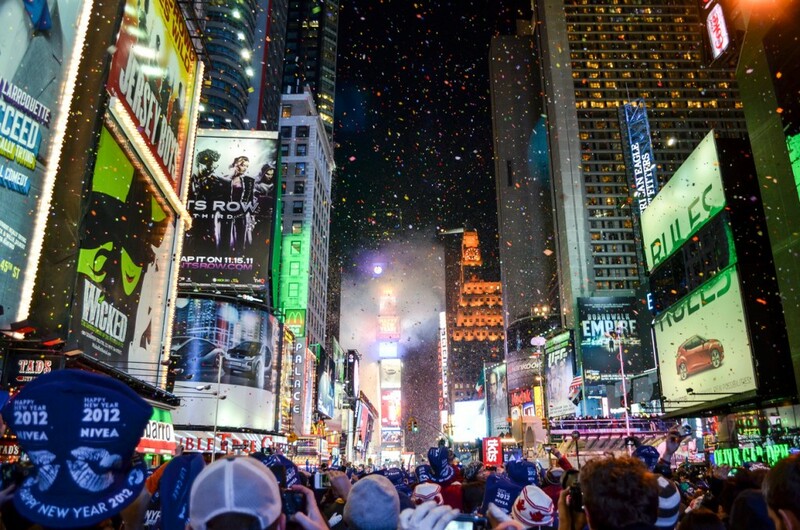 This point goes without saying – and New Year’s Eve in the big apple should be on everyone’s bucket lists. From watching the ball drop in Times Square to ice skating in Central Park to gawking at the giant Christmas tree at the Rockefeller Centre, New York is one of the most festive places you could possibly spend the Christmas and New Year period – especially if the city is covered in snow. Whether you visit the holiday-themed Christmas windows at New York’s famous department stores, see the ‘real Santa’ at the Plaza Hotel, or see the famous high-kicking Rockettes at the Radio City Christmas Spectacular Broadway-style show, New York is bound to deliver, every time. Speaking of Santa, nothing says Christmas like the North Pole, does it? If you can brave the arctic temperatures, head to Alaska, to the North Pole! 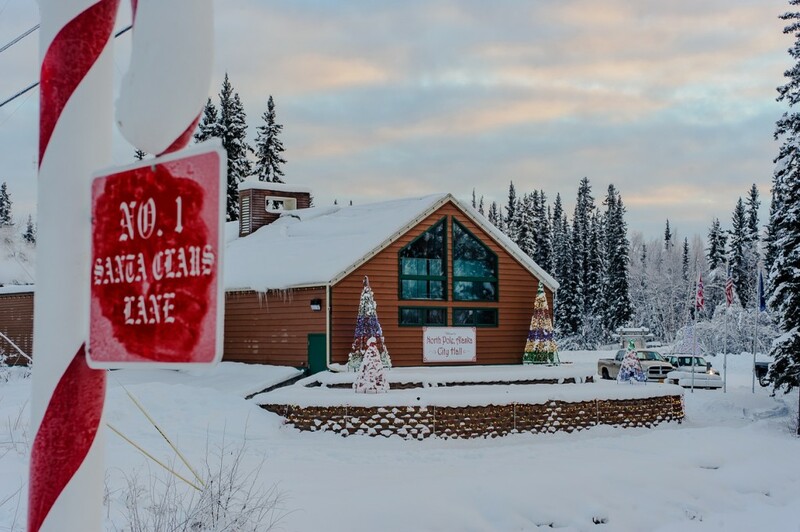 Since 1952, kids have written to the Santa Claus House in North Pole, Alaska – and he even writes back. But even if you’re too old for Santa, Alaska still has plenty to offer those who prefer a colder Christmas over a warmer one. You can experience dog sledding, see the Northern Lights, and check out the famous Christmas-themed ice sculptures in North Pole. There’s also a ton of festive markets and events on during the Christmas period – it is where Santa lives, after all. For a more adrenalin-filled snow adventure, grab your snow gear and head up to Colorado for some of the best skiing in the world. 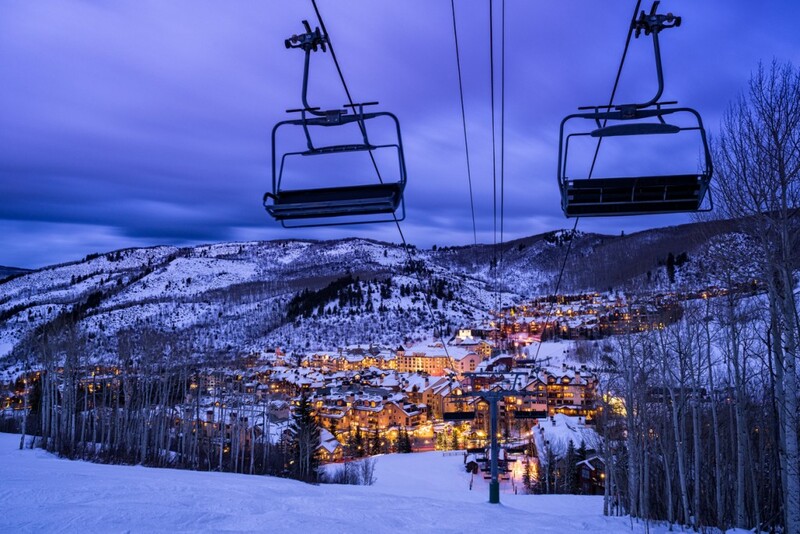 Home to the resort towns of Aspen, Vail, and Steamboat Springs, Colorado is the most popular place to go skiing, snowboarding, sledding, tubing and snowman-building in the US, and it’s easy to see why. Give us a cozy chalet and pristine snow for Christmas any time. 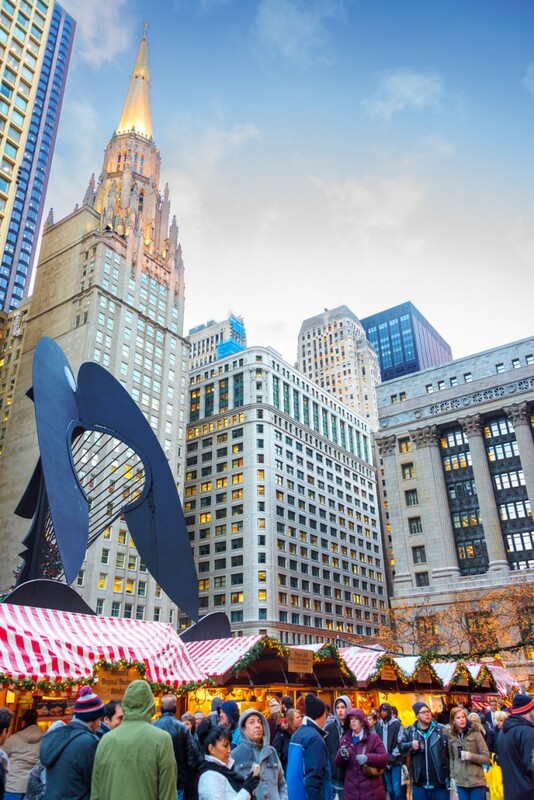 Forget heading over to Europe for a good Christmas market – you can find them in Chicago! While not as busy and jam-packed as New York, Chicago still provides all the big-city activities your Christmas dreams are made of. Think millions of lights on the Magnificent Mile, a giant Christmas tree in Daley Plaza and a special annual Christmas exhibition at the Museum of Science and Industry. Chicago is also home to Christkindlmarkt, a German Christmas market featuring holiday craft, traditional wooden toys, and German food and drink – all without leaving the US. With American Airlines flights leaving Sydney to L.A. daily on the new state-of-the-art Dreamliner, and the option of trying their brand new Premium economy product with all the trimmings, ho, ho, hop on board. Christmas in L.A. or 190 connections beyond L.A. with American Airlines, this Christmas will surely be one to remember. skiing in Colorado is now also the cheapest place by far anywhere in the world to go skiing. Lift tickets start at just USD$21/adult/day at major resorts (that’s less than AUD$30/day) & you get up to 4 kids totally free per paying adult. If you have 4 kids, that’s AUD$6/day average for lift tickets or about 97% off ticket window prices. Accommodation is not expensive either. Good on snow accom starts around USD$150/night(AUD$211) for a spacious studio with full kitchen that can sleep up to 6 people, for most nights in JAN/FEB 2019. What’s the catch ? It must be booked thru an Australian wholesaler, NOT online. Lots & lots of competition.